Jan Svankmajer is an influential surrealist animator, artist and filmmaker from Prague, Czechoslovakia. He was first introduced to animation when he was given a puppet theatre for Christmas 1942. Studying at DAMU (Prague Academy for performing Arts), he specialized in puppetry, direction and set design. Here he gained a particular interest in Soviet avant-garde theatre and film. "Meyerhold and Tairov were my heroes, together with (Sergei) Eisenstein and (Dziga) Vertov." 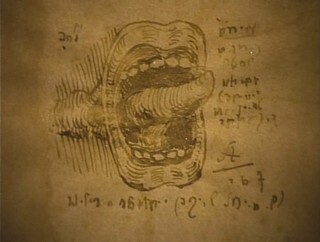 (Svankmajer quote. Walters/Faber. 2004:100). 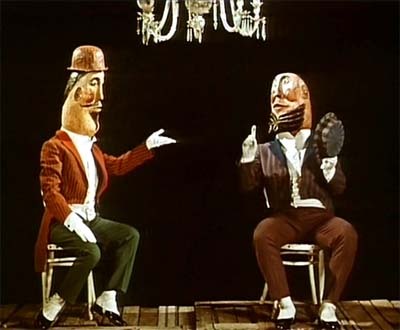 Svankmajer's graduation film used a combination of puppets, live actors and actors dressed as puppets, a technique he would later use in his film The Last Trick, (1964). In 1960, Svankmajer founded the Theatre of Masks and during it's first production, met his future wife Eva, an internationally respected surrealist painter. A pivotal encounter in his life, Svankmajer himself became an official member of the Czech Surrealist group in 1970. However, following the release of his 1972 film Leonardo's Diary, Svankmajer was banned from making films for seven years for featuring unauthorized portrayals of everyday life in Czechoslovakia. Svankmajer continued to draw, paint, sculpt and write in his seven year hiatus, working as a special-effects designer at the Barrandov Film Studio creating title sequences for various films. Permitted to make films in 1979, he ran into trouble with again with his multi award winning short Dimensions of a Dialogue (1982). 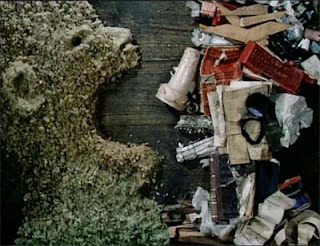 The short comprises of three segments: "Exhaustive Discussion" depicts heads made from inanimate objects devouring each other to bland copies. "Passionate Discourse" shows a clay man and women dissolving into one another sexually, reducing to a boiling pulp. 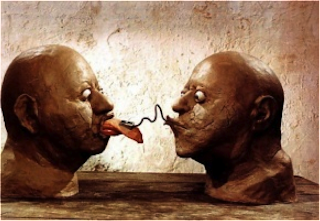 "Factual Conversation" portrays two clay men head's, extruding toothbrushes, shoelaces and other objects from their tongues, intertwining them into various other combinations. The film was banned in Czechoslovakia and shown to the Central Committee Communist Party as an example of the kind of film that should not be made. 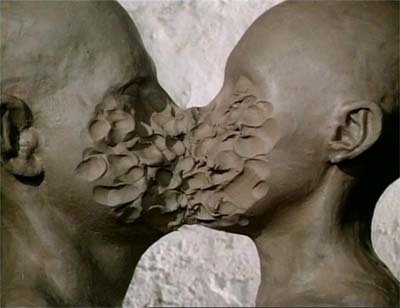 Svankmajer continues to produce short and feature length films as well as pop videos. He founded the Athanor film studio in 1991 and was awarded the lifetime achievement award at the World Film Festival of Animated films in Zagreb, Croatia in 2000. His adopted conceptual premise to his films and animations produce highly original outcomes. "...his use of surreal images drawn from the unconscious to prompt moments of fear and revelation in his audience - are conceptual applications to the medium and should be understood as a methodology in the creation of distinctive imagery and alternative narratives." (Wells. 2006:102). Faber, Liz and Walters, Helen. (2004) Animation Unlimited, Innovative Short films since 1940. London, Laurence King Publishing Ltd.
Wells, Paul (2006). The Fundamentals of Animation. Switzerland, AVA Publishing.